What Do Metroid and Soccer's Greatest Player Have in Common? The name of Metroid's star's name is Samus Aran. The name of soccer's greatest player is Pelé. But that's not his real name. "Even the name of the protagonist could be put together in this manner, and if I wanted to give someone a strange name, I could refer to Pelé's name," Nintendo's Hiroji Kiyotake said. But as Metroid co-creator Yoshio Sakamoto pointed out, "If you check if Pelé's real name was 'Samus Arantes,' that's a little incorrect," Sakamoto said. "He's called 'Something' Arantes Nascimento, and only 'Aran' matches." 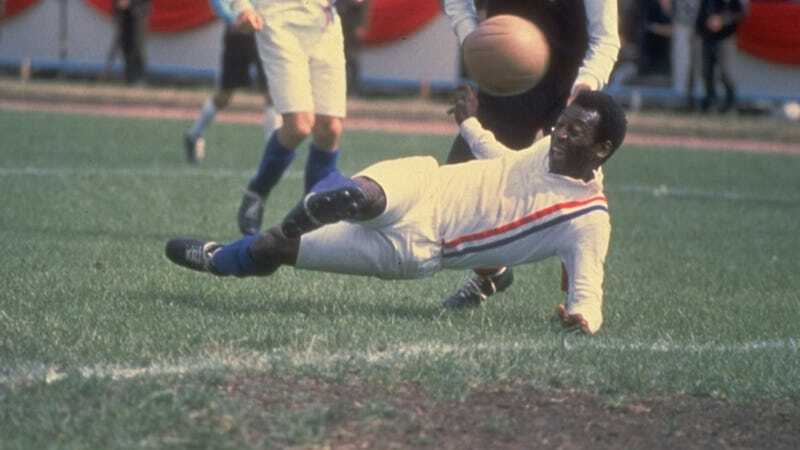 Pelé's real name is "Edison 'Edson' Arantes do Nascimento". Metroid was originally called "Space Hunter", but the developers decided to mix the words "metro" and "android" to get "Metroid". More Metroid trivia in the link below.